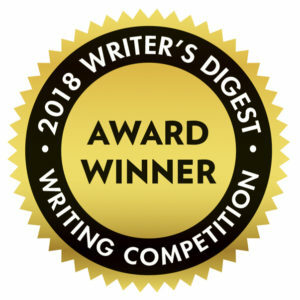 ﻿Last month, two writers whose work has appeared on ConVivio were awarded “Honorable Mention” in the 2018 Writer’s Digest Annual writing Contest. They were selected from among 5,300 submissions. • One poem by Lauren de Vore was selected in the “Rhyming Poetry” category. • One short story by Dan Sapone was selected in the “Literary Short Story” category. These two winning pieces are reproduced below. The world is virginal and new. O’erwhich the tides twice daily reach. And leave behind a beach pristine. Those wrongs of mine, those deeds I rue. Some way to set my conscience free. Be swept clean by a foaming sea. An unspoiled beach at just past dawn. The end of summer was hard to take for Giovanni. Something was missing and he knew what it was. Since he was six years old, September had always meant the summer was over and school was about to start. For years, he and his friends could conduct their September ritual of moaning about how short the vacation had been and the unfairness of being forced to return to school when it still felt like summer. In spite of that unpleasantness, at least they were returning to familiar surroundings and the same collection of friends. In those days, at least they knew what to expect from September. Of course, by the time they all graduated from high school in 2010 and went their separate ways, everything changed. For Giovanni —everyone called him Gio — the next five Septembers had meant packing up the contents of his room in his parents’ home in Savelli and heading north for the Fall semester at the University of Salerno, about two hundred miles from home. Once he became comfortable with his life as a college student, September became familiar once again. But today, after graduating in June from Salerno’s class of 2015, all of the familiarity and certainty of September had evaporated. This was unfamiliar territory for him and he wasn’t sure how to feel about it. Looking back, his college career had started well enough. His father had been pleased that Gio would be the first member of the Zappia family to be educated beyond high school. The general pattern for boys who grew up in this part of Calabria, near the bottom of the ‘boot’ of Italy, was to follow their fathers into one of the local factories — ironwork, stonework, heating, metal fabrication – and work their way as far up in the company as their diligence and skill would take them. But his father often reminded his son of his different vision: that Gio would come back to Savelli with a degree from the Business Studies Department at the university and rise to the upper echelon of his company’s management. It was a fairly large company and, with a degree in business, there was money to be made. Showing up for his first appointment with Professor Tommasetti, the Dean of the Business Studies Department, he paused to admire the renaissance-era structure next door, looked at his watch, and hurried into the brick building to do his duty. “Mi chiamano Gio, mon Professoré,” he answered, trying to match his formality. After looking at him awhile, the professor corrected him that he hadn’t asked why HIS FATHER wanted him to study business; he wanted to know why HE planned to do that. Gio quickly decided that the interview wasn’t going well and hoped some enthusiasm would salvage it. “Io sono il primo della mia famiglia ad andare all università.” He was proud to be the first in his family to go to the university. He thought that might help. “Molte grazie, professoré.” And he was, indeed, thankful to be out the door. And so, it began. By the end of his second year at Salerno, Gio had a decision to make. During his first two years he had taken the required lower-division business courses and had filled the general education and elective slots in his schedule with courses in World Literature, Philosophy, and English as a Second Language. He enjoyed these courses and had become quite proficient in English. Preparing for the required Spring interview with the Business Studies Department Head, Gio made three observations. First, he realized that he actually dreaded his required business courses and, whether it was the cause or the effect, he did not do well in those courses. Second, it had not taken long for him to realize that he derived the greatest enjoyment from his English language, composition, and literature courses. He admired writers, especially the playwrights and novelists, who could make characters come to life on the page. He especially loved the characters of Shakespeare who sometimes spoke directly to the audience. Works of fiction, he was learning, were vehicles for shining light on the truth of what was going on between — and within — human beings. He hoped to write such stories and wanted to learn the techniques writers used to connect with audiences. His third realization had come after a meeting with his English literature professor. He had gone to Professor Martelli’s office to discuss a paper he was writing about two of the plays of William Shakespeare. He knocked on the office door and found it open. This time, he meant it. A month later, when the Spring term ended, the train ride home to Savelli seemed longer than it had after previous semesters. It was the usual three hours with a stopover at Lamezia; the same yellow colza blossoms typical of late spring in Calabria punctuated the broad expanse of green grass along the tracks; but none of it held his attention. All he could think about was his father’s likely reaction when he told him that a degree in Business would be a waste of time for him. Staring out the window, he rehearsed how he would introduce his idea to change his degree program to the Department of Humanities. He considered starting with his interest in English literature. Or maybe he should admit to his distaste for business. Either way, he assumed his father would be angry and disappointed. Or maybe he should try a more practical approach – he could become a teacher, and maybe, someday he could be a writer … maybe travel. All of the conversations he imagined during the long train ride went badly. Then, on top of it all, he reminded himself that his father had arranged for a summer job at the metalworks plant; he would start on Monday. This was going to be a bad day. His father was waiting in the car at the Catanzaro train station when Gio climbed down the steps from the platform. He put his bags in the back and settled into the front seat for the thirty-minute ride home to Savelli. Gio had finally decided that his father had never been thoughtless or harsh. He had spoken often of the life as a factory manager that he wanted for his son; but he was not stupid. Gio figured he’d just tell him the blunt truth and hope for the best. So, he set aside his fear and began, “Papa … ”; but his father interrupted by handing him a letter. It was addressed to him, Senoré Giovanni Zappia, but the envelope had been opened. His father said it was from “Profesoré Martelli,” and gestured for him to read it. Gio studied his father’s expression as Giuseppe turned the steering wheel away from the curb, trying to read his mood; but there were no visible hints. Finally, he unfolded the two separate pages. The first was a scholarship application from Il Dipartimento di Scienze Umane — the Humanities Department, the second was an offer of a part-time job working in the Department Office as a writing tutor for first-year students. “Si, Papa ‘Humanities’ en Inglese.” The professor had violated his own “rule” and both pages were written in Italian. Gio was pretty sure that he knew what Professor Martelli had intended. The letters were addressed to Gio but they were sent home three weeks ago, virtually ensuring that his father would open them. The letter suggested that Gio could have a bright future if he began preparing now for a career as a teacher, that his writing skills were exceptional. It also explained that, between the job and the scholarship, his college expenses would be fully covered. It was apparently intended to persuade Giuseppe that this was a good idea. Gio read the pages slowly, afraid to look up at his father, not sure how much trouble he was in. Gio’s reply was quick, “Si, Papa. Dobbiamo pensare.” Yes, Papa, we will think about it. The summer passed well enough; his job at the factory was all physical labor, not much thinking. It confirmed for him how much he preferred books and ideas to machines and metal; and there was free time after work for walking in the park near the Museo dell’Arte Contadina. It was a small museum with a library that focused on ancestry research and the history of the surrounding region of Calabria. The lawns and benches in the park were comfortable places to read and think about the coming school year. With the coming of September, his summer job ended and it was time to prepare to travel north to begin his third year at Salerno. Gio tried not to look stunned and promised that he would do well, knowing that he was accepting a big challenge. And with the optimism of youth, he was grateful for it. The next three years at Salerno were hard work. Changing his major to English Literature and Composition after two years put him behind in his degree requirements; so, it would take him longer to graduate. The association of other students with similar interests was worth it, and he finally felt like he was getting somewhere. He joined a group of students like himself who had an interest in writing family stories and genealogy. At the Christmas break, he came home to Savelli with his new project. With the help of his father, his aunt Isabella, and the Museo dell’ Arte library, he was able to begin to piece together a partial family tree going back six generations of Zappias back to a Giovanna Zappia who was born in 1850. He learned that Giovanna had two children — a son, Mario, born in 1871 and a daughter named Giovanna Maria, born in 1874. Records showed that Giovanna Maria, called Maria, had two sons in Savelli before moving to Reggio, Giuseppe born in 1900 and Giovanni in 1906; but strangely, Gio found no record of them anywhere after that, and no death certificates and no record of them living in Calabria after 1910. The Zappia lineage continued through Maria’s brother, Ernesto, and is sons — Gio’s great-grandfather Giovanni born in 1922 and Salvatore Zappia born in 1931. Gio’s own father, Giuseppe, born in 1960, was Salvatore’s youngest son. In trying to draw the family tree, Gio was struck by two things. First, the family was a textbook case of the longstanding Italian practice of re-using first names roughly alternating through the generations. Going back the 165 years he was able to trace, he found several males named Giovanni, Giuseppe, and Mario and females named Giovanna, Isabella, Maria, and Caterina. Second, Gio’s eye kept returning to the branch of the family tree where Maria and Antonio Sapone married, had two sons, and then seemed to disappear. As Giovanni boarded the train to return to Savelli after his graduation, he was determined — there was a story to write and he was going to write it. By the beginning of September, the summer was showing the clear signs of running out of steam. The grass in the park was dry; leaves on the trees were turning yellow; and most of his goals had been met — he had been the first to graduate from the university, he had moved beyond the family pattern of factory life in Savelli, and he found himself applying for two kinds of jobs: at the local schools and at the regional newspapers. He had been told that most job openings were expected in September. Since the summer job ended in mid-August, Gio filled his days in the park and in the ancestry section of the library with his notebook, pursuing his family-history project. Sitting at a desk in the library, Gio thought about how fortunate he was that his father was not pressuring him about his job search; but now, the pressure came from inside. He did his best to push aside his own doubts. Gio placed it in his backpack and headed for home. His uncle was bringing over some clams, mussels, and calamari and his mother had promised penne alla fruita di mare. There was no way he was going to be late for that. After dinner, when his father and uncle started arguing about politics, Gio escaped to his room and opened his backpack for a closer inspection of the notebook. It had a brown leather cover embossed with an image of some dramatic mountains and the word “Yosemite.” What he found inside was much more than he expected. The pages of Gio’s ‘lost-and-found’ notebook were nearly full — and all in English — but resembled a puzzle with some pieces missing. The first page had a name, “D. Sapone,” and “Yosemite, April 4, 2000.” The scribbling was in English and charts appeared to be pieces of a family tree with some names Gio recognized. Skimming the titles at the top of some of the pages, most of it appeared to consist of short stand-alone chapters. Three described visits to “Yosemite”; another told a story about a hike to a spectacular waterfall. Two chapters were about a restaurant in San Francisco California called The Flying Pig, owned by two brothers named Sapone. Some chapters focused on the writer’s search for details about his family going back several generations. Gio decided to read these chapters first. Reading through the pages, he learned that the writer grew up in California — a place Gio had learned about in his American Literature courses — a region quite like southern Italy. The second thing that caught Gio’s attention was that this Californian had come to Italy in an attempt to “fill in the blanks” of his family history. And then there was a stunner: this Californian’s grandmother sailed from the port of Naples to Ellis Island in New York on August 18, 1910. She was from right here in Savelli, and her name was Maria Zappia! The owner of this notebook had come from the San Francisco Bay Area to “fill in the blanks” of unanswered questions about Maria’s family and the family of her husband Antonio Sapone, also from Savelli. — Why did they leave Italy in 1910? — Who was on the family tree before Maria and Antonio? He finally came to realize that the story this visitor from California was trying to write was the story of Gio’s own relatives going back more than 100 years. With some research, and by asking questions of some older family members right here in Savelli, Gio was convinced that he could complete the story this Sapone had failed to write. And what about this mystery of Antonio? He closed the notebook, placed it in his backpack, and stared awhile at nothing in particular. What would his father say about this? He had work to do. He had a purpose. This story had been a long time coming and he was the only one who could finish it. It was time to begin. This story is intended as a chapter in a longer work. Friday, September 21st, 2018, by Daniel and is filed under "Fiction, Poetry ". You can leave a response here, or send a Trackback from your own site. Dan, thanks so much for sharing these wonderful pieces – and for writing the charming story of young Gio, finding his purpose and passion. I had a lump in my throat, tears in my eyes, as I pictured Gio walking into the Flying Pig. I assume you did, actually, go to Savelli (or a similar town)? Or is this still an aspiration? Many thanks, also, to Lauren de Vore for the beautifully composed poem. I was with her all the way, from cleansing, purifying experience of waking to new-fallen snow, to walking on the beach, to the desire to experience the freedom of erasing all regrets. Beautiful writing, by both of you. Thanks so much.